As parents, our children’s health and happiness is our top priority. 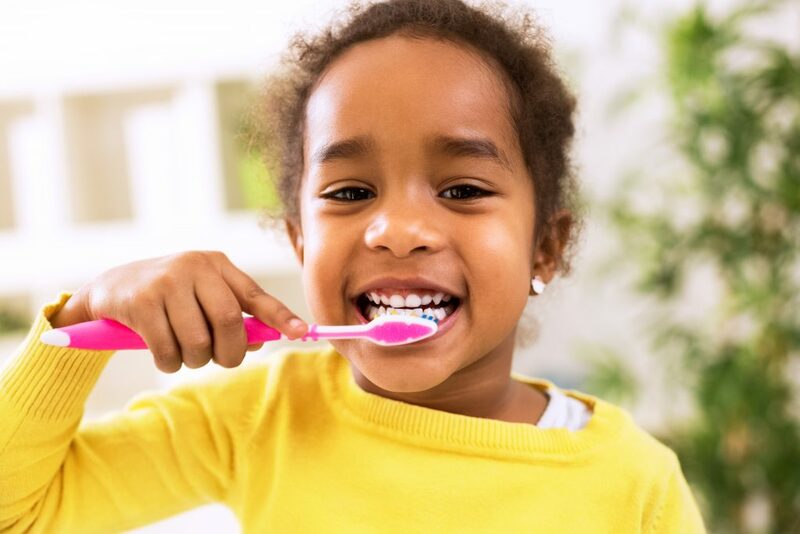 The American Dental Association provides a list of “tooth-truths”1 to help educate parents and caregivers on the essentials to taking care of their children’s teeth. The ADA notes teeth usually begin erupting between 6 and 12 months of age, and as soon as teeth begin to appear, they should be brushed with a fluoride toothpaste. Parents should brush their child’s teeth twice a day until they are comfortable their child can brush on his or her own. We recommend parents help their children with their home care through age 8 or longer. Parents also should floss between “any teeth that touch. We like to see children around age 1 or 2 so we can review home care instructions with parents and help them understand what will happen over the next few years. First cleaning appointments occur around age 3. So glad you found us! Let us know if there are any questions we can answer for you.